Pattern is all around us, constantly. Sometimes I even get dizzy walking around this world as I constantly see shapes and color palettes in everything, from the muddied honeycomb shaped cracks in the sidewalk to the shadows an iron gate casts on a brick wall to the hues from a single feather. I always love stumbling upon interesting patterns and applying that to textile patterns/prints, which is why I liked how this barn door's diamond-esque shapes mimicked the scarf on this model, or maybe it was vice versa? Anyways, I loved the ethnic/bohemian vibe to this outfit and the idea of adding a few bursts of color to a darker outfit. I'm kind of digging darker palettes with pops of color lately and will follow with another post to demonstrate what I'm talking about. 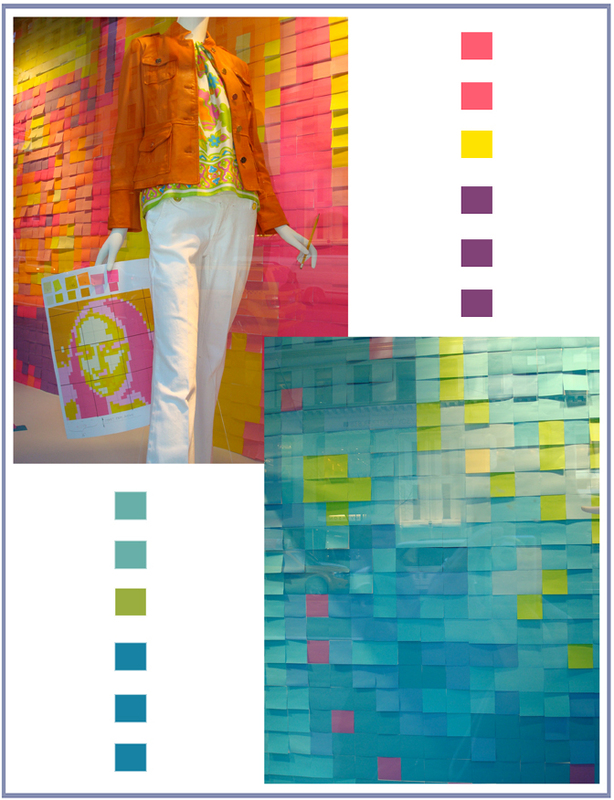 Last week I walked by Bergdorf's windows, and found myself peering into these psychadelic color pools of Post-It notes! I'm not a huge fan of the bright, 60's rainbow colors, but this was definitely interesting as they created faces out of them (one being the Mona Lisa). All I could picture were the poor assistants running around this city trying to find every post-it note color out there. Oh, the things we do for design and creation! 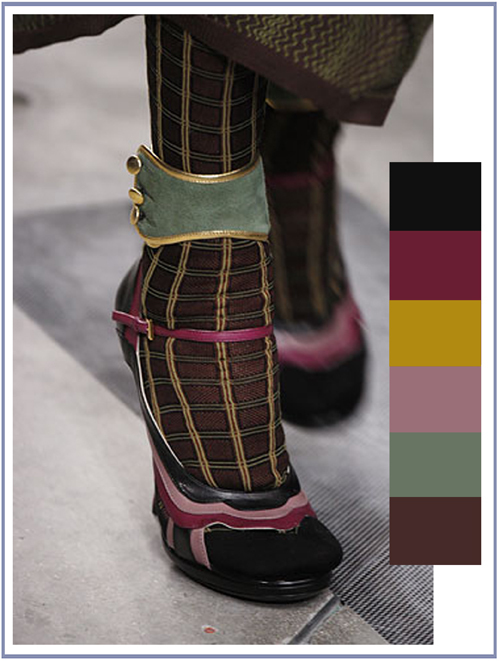 This is one of the fabulous shoes from Prada's Spring 2008 collection. I really just love the palette and overall pattern of the tights. However, with it only being 11 or 12 (I can't count) days til Christmas I thought these would make an interesting twist to the traditional Christmas colors that typically overkill us throughout the season. Metallics have become so huge and adding that small touch of gold and black to this palette just adds that extra punch needed to make it less fuddy duddy and instead more dramatic. I am anxiously awaiting for the arrival of my first catalogue from a company called Saltwater. 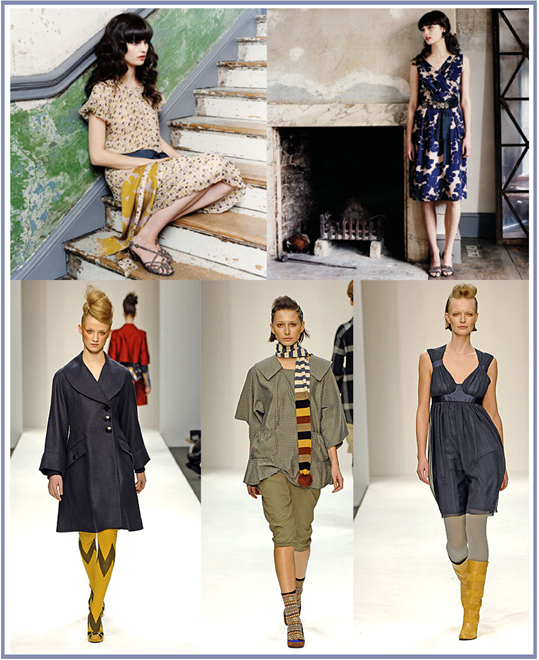 I love their clothes, colors and patterned textiles - it reminds me a little of Anthropologie, but with less frill. They also have a great website that shows great inspirational pictures used during the craetion of their current collection along with how their design process works. And this morning I was checking out the lovely blog, The Black Apple when to my surprise there was a post about Saltwater (via her Some Girls Wander by Mistake fashion posts)! I can't wait any longer to show you the pictures so thanks to The Black Apple here are a few pictures from the catalogue. 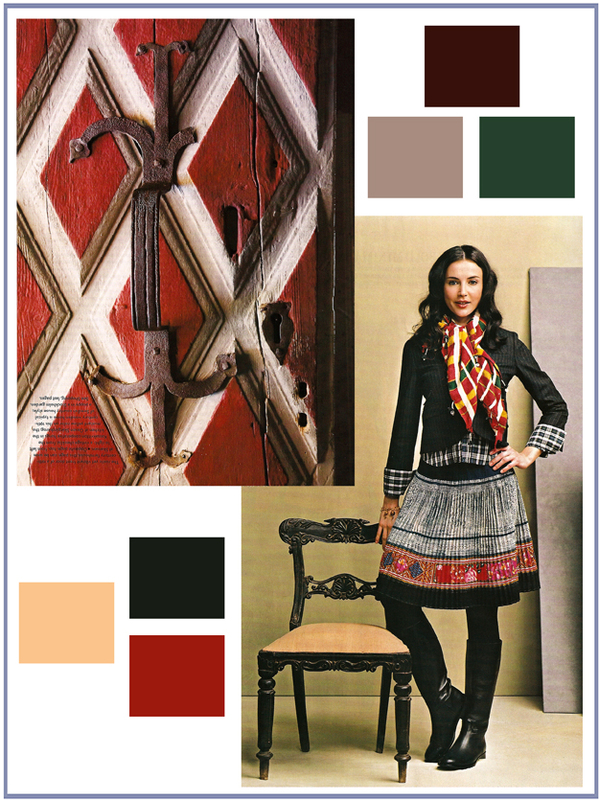 And, I couldn't resist sharing with you the description of color the chief designer used for this Autumn/Winter '07 palette. Enjoy! but, in muted tones. such as seen above with the fashion labels Megan Park and Eley Kishimoto. 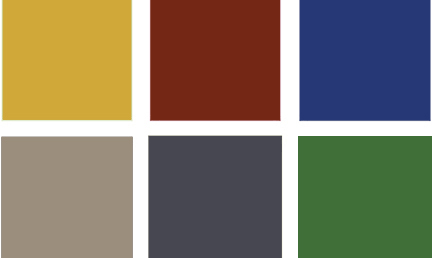 I like that yellow is now mustard, red becomes either tomato or a burnt ruby and blues turns into a midnight hue or simply a deeper royal blue. To complete the palette greens and grays add a little something extra. This is why I love Fall - muted colors taken from the rustic country side. In a future post I will show some pillows I am in the process of making, which definitely will show you my true feelings for vintage/muddy colors.